One-hundred and fifty years after its terraforming, Aqua, the planet formerly known as Mars, is now almost completely covered in water. A young girl named Akari Mizunashi lives in the city of Neo-Venezia, an exact replica of the old Italian city of Venice, where she works as a gondolier tour guide. 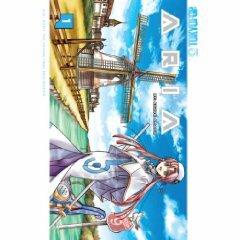 While giving people tours of her beautiful city, Akari learns to appreciate her city when she helps an elderly tourist find his daughter, teaches a friend some history about ancient Venice and discovers the secret behind Aqua's unusual sun showers.